South Carolina Car Accidents can Leave Victims with Serious Injuries - Ayers, Smithdeal, & Bettis, P.C. Car accidents are an inevitable part of modern life and are consistently ranked among the most common cause of accidental injury in the United States. In fact, the National Highway Traffic Safety Administration (NHTSA) indicates that there were more than 2.3 million people injured in traffic crashes during 2013 alone. Motor vehicle accidents have the potential to leave victims with extremely serious injuries, many of which can result in lifelong medical issues that can cost hundreds of thousands of dollars to treat, if not more. For this reason, it is critical for people who are hurt in car accidents to protect their legal rights and to ensure that they obtain the compensation to which they are entitled. Below is some information regarding a few of the more serious types of injuries that people often sustain in South Carolina car accidents. For more information, call one of our South Carolina car accident attorneys today for a free consultation. Traumatic brain injuries, or TBIs, are a serious type of injury that can occur when a person hits his or her head against another object. Importantly, traumatic brain injuries can occur in the absence of contact as well – sometimes, it is sufficient for the head to snap quickly back and forth on the neck in such a way as to cause the brain to move around inside of the skull. These injuries can cause a disruption in normal brain function and have the potential to leave victims with significant long-term problems that may prevent them from earning a living or being able to perform the daily tasks necessary to live independently. Spinal cord injuries occur when physical trauma causes damage to the spinal cord, which is the bundle of nerves that is responsible for transmitting signals between the brain and the rest of the body. These kinds of injuries can cause significant issues, including muscle weakness, numbness, tingling, and even paralysis below the site of injury. Many people who are involved in car accidents sustain significant burns. These injuries can be extremely painful and often leave victims with significant scarring that can have a direct impact on their emotional well-being and day-to-day life. The physical forces involved in serious car accidents can easily leave victims with broken bones that require intensive medical treatment. In many cases, people who break bones in motor vehicle accidents incur medical expenses well into the thousands of dollars. Furthermore, many people who sustain bone fractures are unable to work for an extended period of time, resulting in a significant amount of lost income. 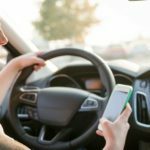 Individuals who have been hurt in an auto accident that they believe may have been caused by the negligence of another driver should contact a lawyer immediately. In many cases, people who are injured in car crashes are able to recover significant financial compensation for the losses they sustain. To schedule a free consultation with one of our Greenwood car accident lawyers, call Ayers, Smithdeal & Bettis, P.C. today at 855-213-4405.